I start teaching in Cuernavaca., Mor. Mexico in 1992, now I offer clases in La morada a Cultural Center. I coordinate Yoga Pregnancy Course. I participate in Women Camp. 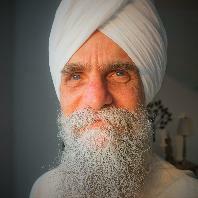 As a Professional Trainer, I have been participating in Level 1 programs since 2006 with Pritam Pal Singh Khalsa. 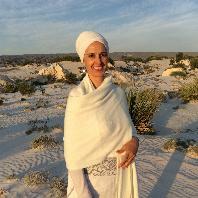 Dev Amrit Kaur has been practicing Kundalini Yoga since her early 20s when she was studying in London. 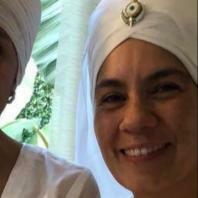 She fell in love with the practice and with the changes it created in her life, so she decided to become a Kundalini Yoga Teacher following the KRI training. 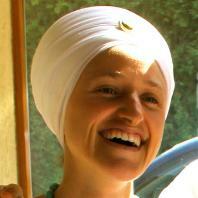 After a few years she went back to Mexico City and established Rama School of Yoga, with her husband Gurujodha Singh. And together they have been training teachers for more that 11 years. She also specialized in Pregnancy and Postnatal Yoga, and is a certified Conscious Pregnancy Teacher Trainer. She currently takes care of her son, her home and travels to teach around Mexico and South America. 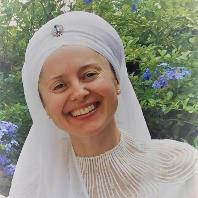 Also she is very interested and immerses herself in research, application and teaching of the Women's Teachings by Yogi Bhajan. This year I taught the first level mainly with my lead trainer Pritam Pal Singh along with the other 5 trainers on the team. 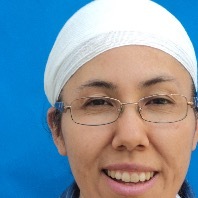 I was invited by Ravi Kaur to go Oaxaca and by Arjan Kaur to teach in Sikh Center. We just started a new Training with 45 people with a high level of knowledge of KY. I also teach workshops for pregnant women, numerology, nutrition, aryuvedic cooking, and women's circles . I am invited to teach in Santiago, Chile this next Yoga Festiva . 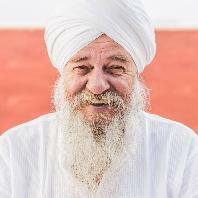 I will also teach with Gurudev Singh, Austin in Cuenca, Ecuador. 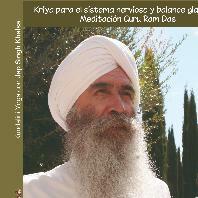 I will go tomorrow to Cuernavaca to teach a 1st Level, and the next weekend Tarn Taran Kaur invited me to teach in Monterrey, Nuevo Leon in the north of Mexico. I teach in Spanish and English and I love to teach. Ex Teacher of Philosophy at the University (Mexico, 1975-77). Ex Assistant to Theater & Movie Director (1975-78).Teaching Kundalini Yoga since 1980.Ex Entrepreneur in the Little and Medium Natural Food Business (1978-1992). Ex High Executive in the Telecom/IT Corporations (1992-2002). 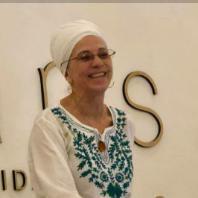 Twice President of the Mexican Kundalini Yoga Association (1990-92/1999-2003). President of Centro de Estudios Avanzados, AC (2004-2009) heading Shunia Yoga Center (Mexico City). Now Healer, Coach, Concerts producer and Chairman of the Fundación yogasmostodos, AC (2009-?/ Non Profit) which dedicates itself to the expansion of the SSS's teachings, specially to people who have little financial resources. KRI Certified Level 1 and Level 2. Professional Trainer in the Teacher Training Academy. 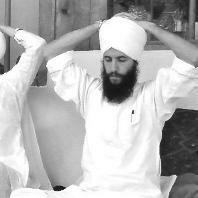 Practiced Kundalini Yoga since 1990. 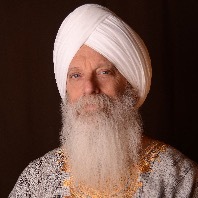 Has taught Kundalini Yoga for 20 years. Part of Mexico Ladies camp staff since 1999. Hatha yoga Teacher since 2014.